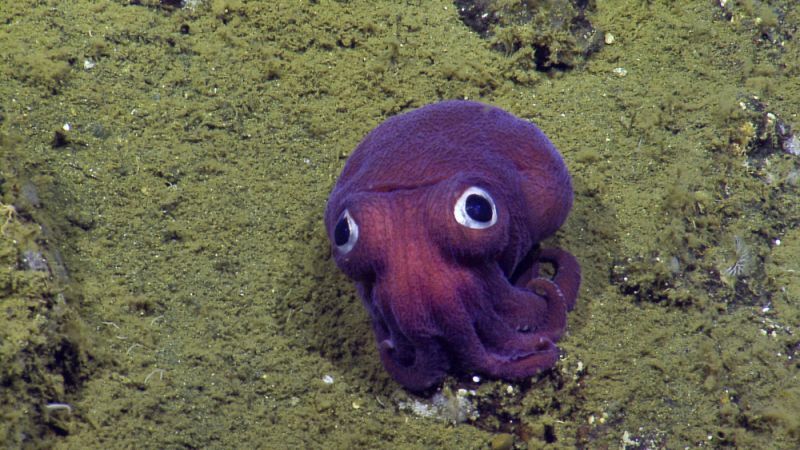 A team of scientists and technicians scanning the rocky ocean floor off Southern California couldn't contain their excitement when they spotted a bright-purple, googly-eyed stubby squid. Then the jokes started. "He has weird eyes!" said one enthusiastic observer. "Get close! Get close!" urges another.